If you just can't get enough of Bond-esque toys, then you should be all over this one. 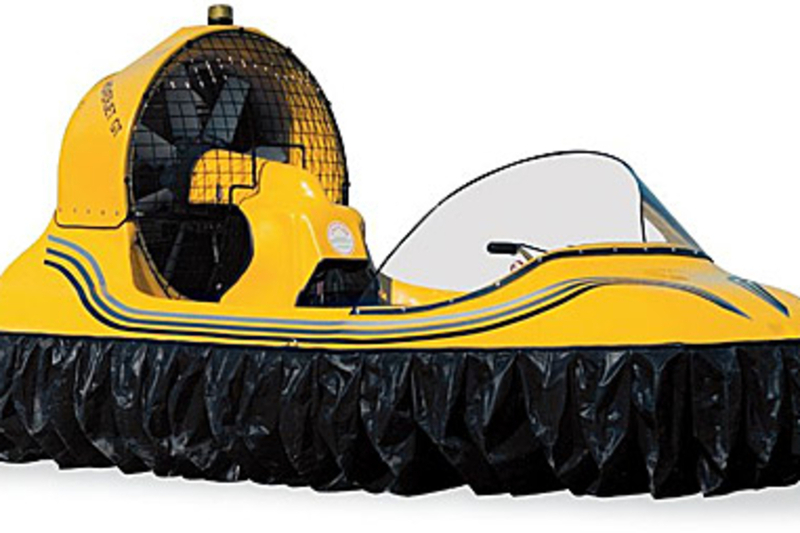 The Two Person 60 MPH Hovercraft from Hammacher Schlemmer ($14,000) features a 60-horsepower, two-cylinder gasoline engine and a 12-Volt battery to keep things running, along with an electric starter, 16" windshield, six gallon fuel tank, and two aluminum skid rails on the bottom hull. 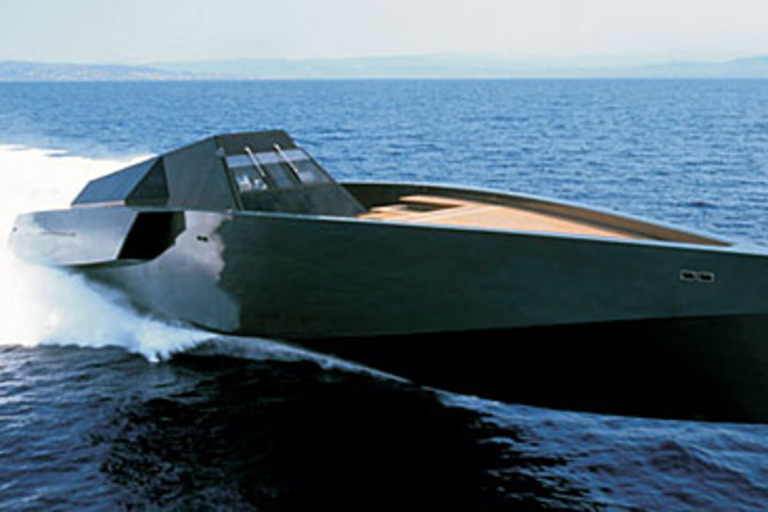 While it requires registration as a boat, the 'craft can go long distances on ice, water, sand, mud, snow, and short grass, and shorter distances on asphalt or concrete. 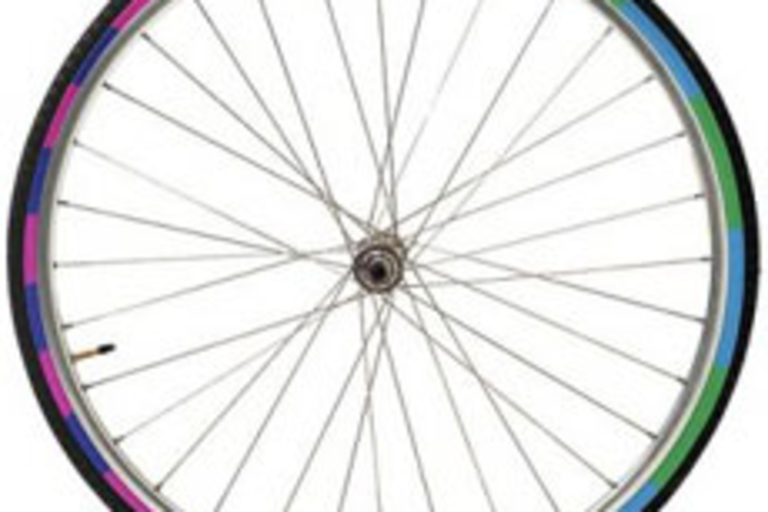 We really can't even begin to imagine how fun this thing would be. 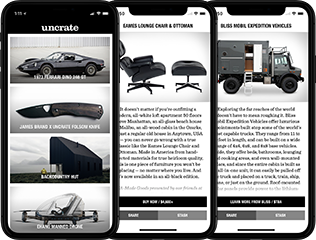 We love riding four-wheelers here at Uncrate — in fact, we’ve owned a few ourselves throughout the years. We’ve since sold them, but this bad boy is tempting us to break out the checkbooks and saddle up. 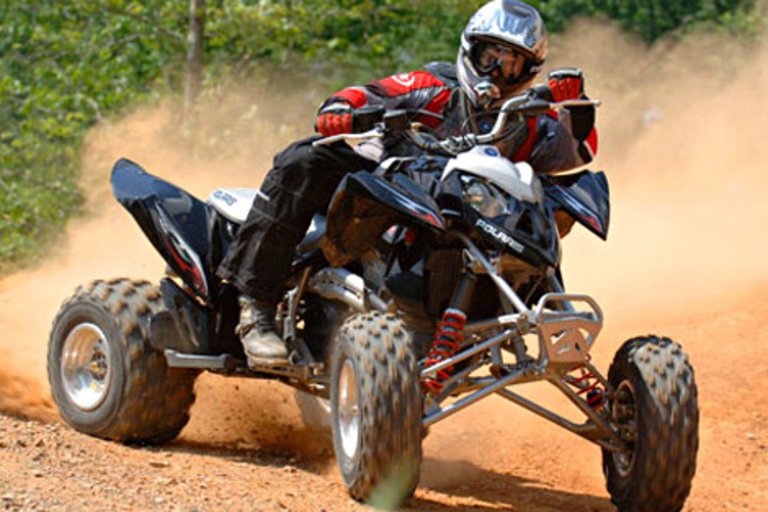 The Polaris Outlaw ($6,899) is a high performance four-wheeler with looks and specs that are downright mean. A liquid-cooled 499cc four-stroke DOHC engine powers the monster while a revolutionary suspension gives 11 inches of ground clearance and an anti-sway bar ensures great handling. We’re not sure we’d run from the cops on one now that we’re older — and yes, we did do that a couple of times back in the day — but we are pretty sure if we had to, we could run off and hide with even more speed and finesse than we did then. The Neiman Marcus annual Christmas Book always has pricey stuff — but this year's is a little out of hand. 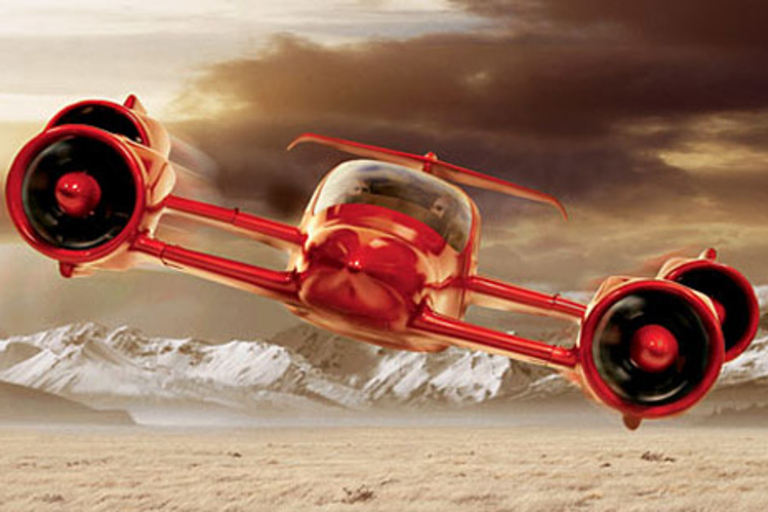 Among the gifts is the M400 Skycar prototype ($3.5 million), the world's first personal vertical takeoff and landing (VTOL) aircraft designed to be used as reliably as a car. It travels at 350 miles per hour and gets better gas mileage than most SUVs — 21 miles per gallon. And since it runs on alcohol, which is a cleaner fuel than gasoline, it's also safer for the environment than your Hummer. Oh, and the buyer must clear regulatory requirements, including International Traffic in Arms Regulations and Federal Aviation Administration authorization.